BRUSSELS, Belgium, February 8, 2013 (ENS) – European heads of state and government have agreed to commit at least 20 percent of the entire European Union budget over the next seven years to climate-related spending. “Climate action objectives will represent at least 20% of EU spending in the period 2014-2020 and therefore be reflected in the appropriate instruments to ensure that they contribute to strengthen energy security, building a low-carbon, resource efficient and climate resilient economy that will enhance Europe’s competitiveness and create more and greener jobs,” the final agreement states. Leaders backed the first budget cuts in EU history, spearheaded by the UK Prime Minister David Cameron and German Chancellor Angela Merkel. Cameron’s plan to hold a referendum on Britain’s EU membership strengthened the country’s negotiating stance. The seven-year budget was agreed at 960 billion euros ($1.28 trillion). By comparison, the budget for the years 2007-2013 was 975.777 billion euros. The 20 percent climate appropriation was first suggested by the European Commission, the EU’s executive branch of government. 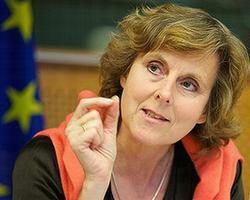 “Rather than being parked in a corner of the EU budget, climate action will now be integrated into all main spending areas – cohesion, innovation, infrastructure, agriculture,” Hedegaard said. “And it underscores yet again the European leadership in the fight against this crucial challenge. If all other major economies were to make similar commitments, it would have a very significant impact,” she said. European leaders agreed to invest in interconnected transport, energy and digital networks, saying they are an important element in boosting Europe’s competitiveness in the medium and long term in a difficult economic context, marked by slow growth and tight public budgets. Such investments in infrastructure are instrumental in allowing the EU to meet its sustainable growth objectives outlined in the Europe 2020 Strategy and the EU’s “20-20-20” objectives in the area of energy and climate policy, the leaders agreed. 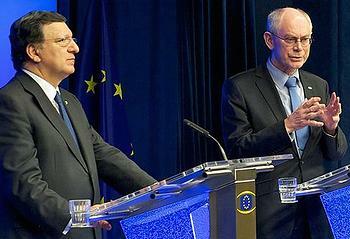 “This budget will allow Europe to keep engaging on vital global issues, such as climate change, nuclear safety, and development aid,” said Van Rompuy. 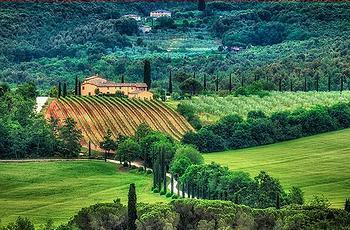 economic activity and quality of life in rural areas…” the framework document states. The greening of the Common Agricultural Policy’s overall environmental performance will be “enhanced” through direct payments for certain agricultural practices that are beneficial for the climate and the environment that all farmers will have to follow, the leaders agreed. A new 2.8 billion euro reserve to support farmers in case of major crises affecting agricultural production or distribution is included in the budget. Expenditures for farm subsidies have gone up since the proposal in November, said Wates. “Even more shocking, as part of this deal, the funding for the CAP’s more progressive rural development component will be effectively starved through the possibility of a whopping 25 percent reverse modulation that allows Member States to put more funding back into the harmful direct payments,” said Wates. “The final blow to a green CAP reform, however, was dealt through an agreement that Member States would be entirely free to decide how to interpret what is meant by a green CAP, opening the door to an unprecedented greenwashing operation,” Wates said. “Heads of State and Government even went as far as to prescribe in detail how to render the most important greening measures – the allocation of Ecological Focus Areas at farm level – completely meaningless, by stipulating this should not ‘require farmers to take any land out of production,'” he said.